Is my memory playing tricks on me here but I'm sure that I can recall another bandstand on a small green at the rear of the Seaview Hotel, am I right or wrong. In 1867 a temporary platform was erected in Seaview Gardens for band performances, it was there for one year before being moved to Beach Fields. A new 'proper' bandstand was erected in Seaview Gardens in 1927. It was demolished in 1959. I think the base still remains. I think I've probably posted these before. 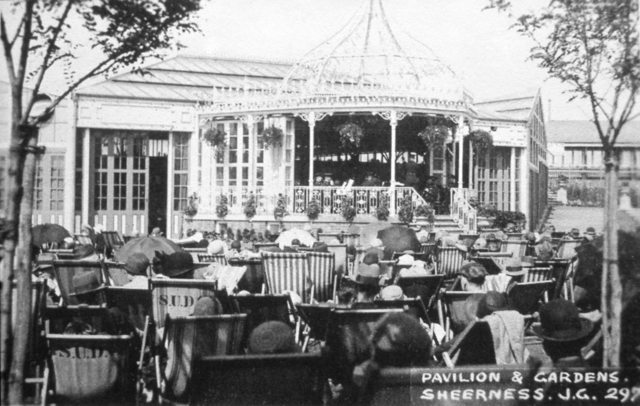 The first Sheerness Bandstand was built in 1897 to commemorate Queen Victoria's Jubilee. The Bandstand standing in a grass area between the Royal Hotel and the sea front. Among the bands that played here each summer were the Royal Marines Band, the Scots Guards, the Royal Horse Guards and the Coldstream Guards. 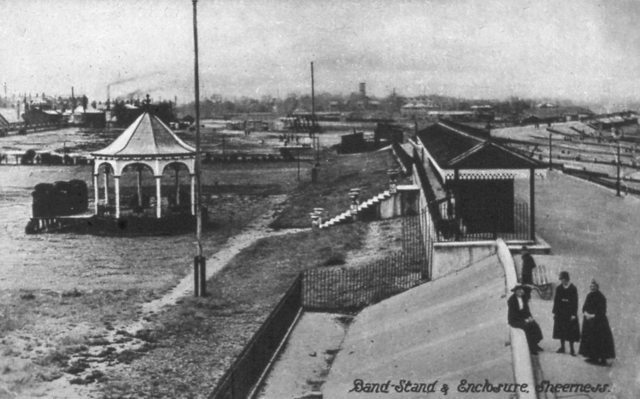 The second Bandstand (a replacement) was opened in June, 1924, with a Pavilion to provide a covered seating area. The building was damaged in the floods of February 1953, and two boys, aged 11 and 13, caused £51. 7s. 6d. worth of damage by smashing 356 glass panes. 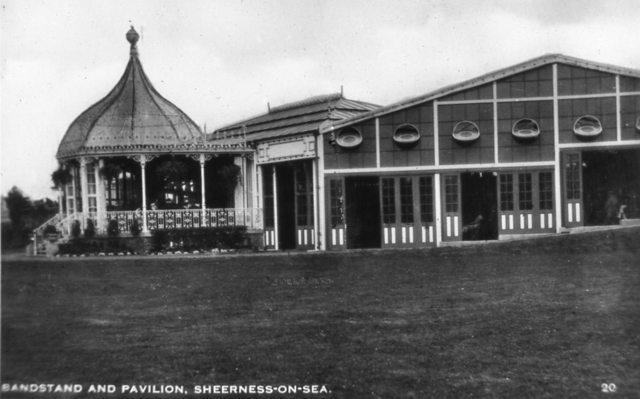 The Pavilion and Bandstand were removed in 1954. The site is now a small formal garden. There are some nice photos on the Trevor Edwards site. Go to Sheerness Beach.